Group classes are an economical way to learn integrated breathing and movement strategies. 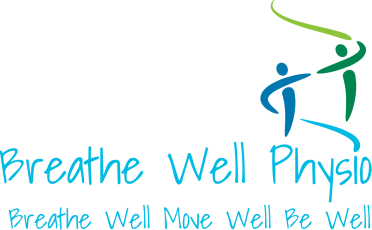 ​Breathe Well Physio is pleased to offer small group classes for a variety of populations. These sessions allow us to give one-on-one attention while decreasing the cost of service for you. The classes focus on integrating good breathing and movement strategies and are followed up video exercise programs for you to do at home, where applicable. Lung Health Support Group click to find out more about this FREE monthly Program! Breathe Strong, Be Strong is a small group exercise program for people with chronic disease who need help and motivation to get active again. Led by a physiotherapist and limited to 5 people, the class focuses on increasing function through resistance training. We also incorporate inspiratory muscle training to decrease symptoms of breathlessness snf increase activity tolerance. The small class format allows us to ensure you are working correctly and safely with each exercise, and make adjustments according to your needs. If you are looking to increase your activity, but aren't sure where to start, this class is for you. This drop-in style class runs every Tuesday and Thursday from 11:15 to 12:00 noon. Each class is $12 and may be elligible for reimbursement through extended health insurance. *Note: you must have an individual physiotherapy assessment before joining the class. Call or email for more information or to register. These classes happen once a month and are geared towards those unable to afford individual assessments for their breathing concerns. The classes are $15 to attend and we help you understand where breathlessness come from, how to improve your breathing awareness, and exercises to help reduce shortness of breath. The class is limited to 6 people and you may attend the classes more than once, but pre-registration is required (no drop-in). For more information, contact Breathe Well Physio.